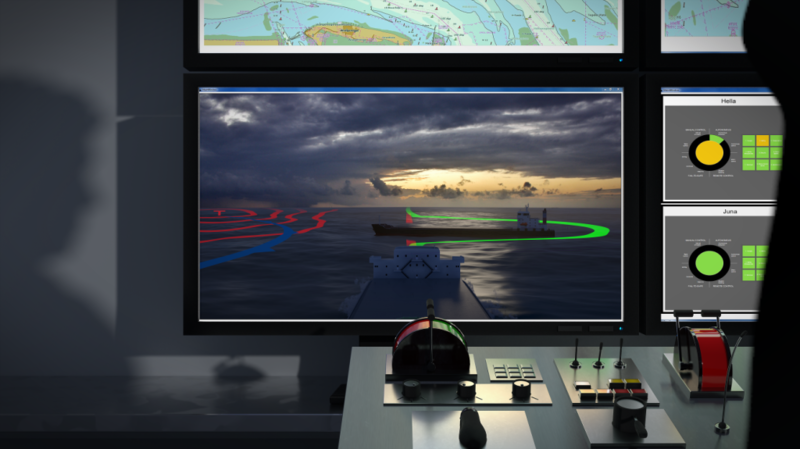 The project MUNIN – Maritime Unmanned Navigation through Intelligence in Networks – is a collaborative research project, co-funded by the European Commissions under its Seventh Framework Programme. MUNIN aims to develop and verify a concept for an autonomous ship, which is defined as a vessel primarily guided by automated on-board decision systems but controlled by a remote operator in a shore side control station. Maritime transport within the EU faces challenges such as significant increases in transport volumes, growing environmental requirements and a shortage of seafarers in the future. The concept of the autonomous ship brings along the potential to overcome these challenges. It allows for more efficient and competitive ship operation and increases in the environmental performance of vessels. Furthermore the shore based approach offers “seafaring” the possibility to become more socially sustainable by reducing the time seafarers spend away from their families. On the 10th and 11th of June the project partners and more than 50 guests met at the final event of the research project MUNIN, led by Fraunhofer CML. After nearly three years of research in the draught of the autonomous ship the work concluded at the end of August. For general information about the project and its results, download the MUNIN Final Brochure.